← Guest Blog:Tony Ballantyne tells us about his writing. 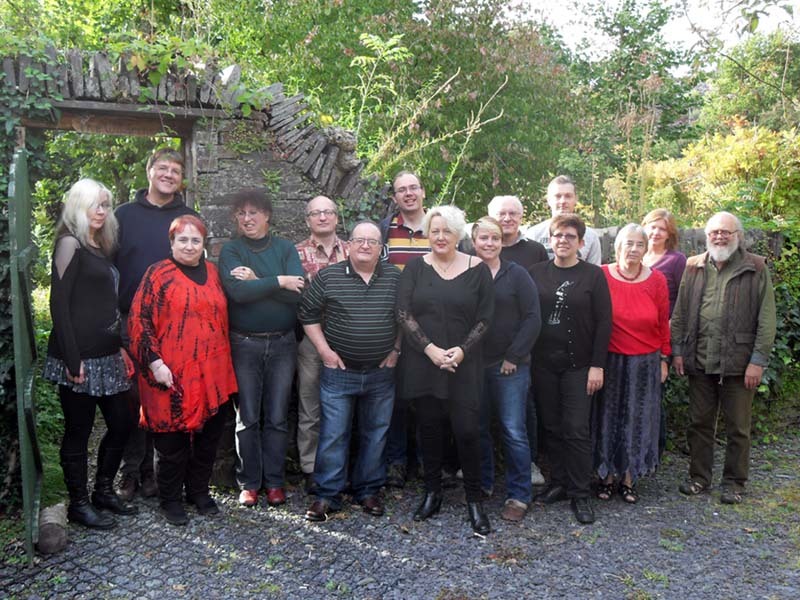 September is the time of year when fifteen science fiction and fantasy writers put down their pens for the week and journey to the wilds of Wales to take part in Milford, or to give it its Sunday Best title: Milford SF Writers’ Conference. 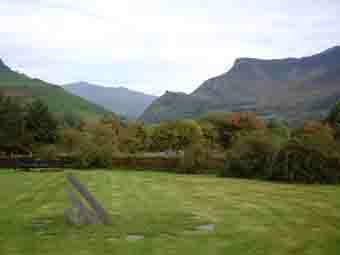 Looking up the Nantlle Valley towards Snowdon in the distance. It’s a week for peer-group critiquing of work-in-progress, which includes submitting up to 15,000 words of your own work in one or two pieces, and reading and critiquing up to 210,000 words of other people’s work – which could be up to 28 pieces, including novel chunks and short stories. 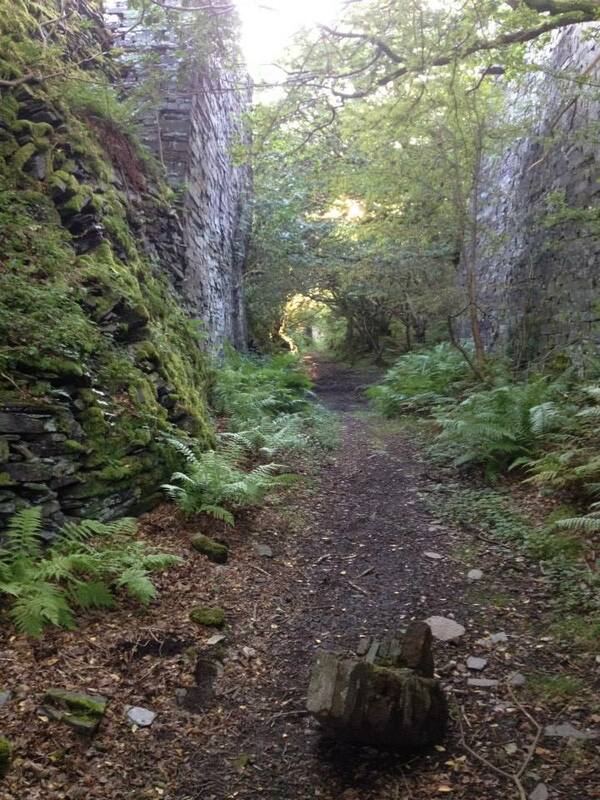 Mornings are your own to read/write/critique or just go for a walk around the lake or up into Mordor – a spectacular disused slate quarry near Milford’s current home Trigonos, in the Nantlle Valley, within sight of Snowdon (on a good day when the clouds don’t steal the mountain). Accommodation is full board in single rooms. They feed us very well (and cater for special diets). Afternoons are structured critique sessions where everyone gets the opportunity to say their piece (constructively). Evenings are social time. After dinner we gather in Trigonos’ cosy library. Alcohol may be involved, though it’s not obligatory. Also some of us shuffle off to a side room for games of Exploding Kittens or Bananagrams. This year comprised: Kari Sperring; Ben Jeapes, Jacey Bedford (me), Liz Williams, Dave Clements, David Turnbull, Val Nolan, Jackie Hatton, Tiffani Angus, Chris Butler, Sue Oke, Matt Colborn, Pauline Morgan (writing as Pauline Dungate), Heather Lindsley, Gus Smith. The photo below is us in that order left to right. A good time was had by all. It’s a hugely convivial week and the best part of it, for me, is that we get the opportunity to talk SF writing with people who understand the joys and the difficulties. No one looks askance if you spend breakfast deciding how to destroy the world, or cure a Zombie plague, or work out how many years will have elapsed on Earth if you travel to Alpha Centauri at 9/10 lightspeed, or ask innocent questions like: If someone is pressed to death under a door (a medieval method of execution) do they suffocate first or squish? Non-SF writers sometimes look at you as though you’re a bit odd when conversation turns in certain directions.SF writers understand the importance of getting these things right. We not only get to noodle the plots that we’re working on, but we get good information on potential new markets, agents and editors, and lots of snippets and tips about writing as a business. Milford Critique session in progress. Milford is getting so popular that it books up pretty quickly. 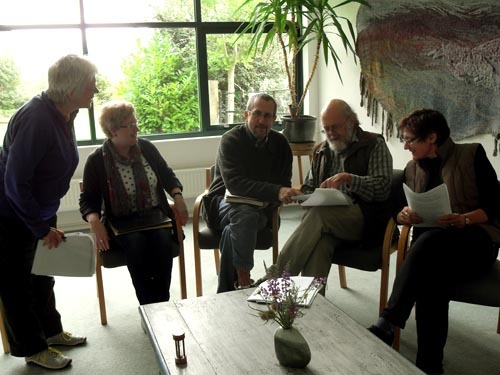 There are details on the website, but, at the time of writing, twelve of the fifteen available places for 10th – 17th September 2016 have been booked and people are muttering about booking for 2017 already. We do, however, like to encourage new writers, so the three remaining places for 2016 have been ringfenced for new writers who’ve never attended a Milford before. The only qualification is that a writer must have sold at least one piece to a recognised market, that can be anything from a short story (flash-fiction, even) or a full-length novel. If you are a writer of science fiction and fantasy and have made at least one story sale, you are cordially invited… details on the website. We are always very happy to welcome writers from outside the UK as long as they write in English. Contact details for the secretary (currently me) are on the website. This entry was posted in Uncategorized and tagged authors, critique, milford, SF, trigonos, writing. Bookmark the permalink.